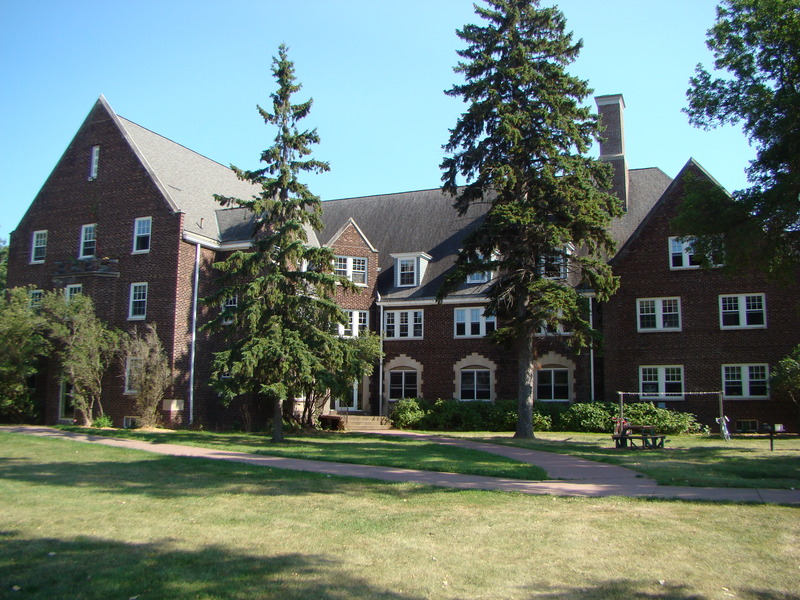 Northland College Memorial Hall, a women’s dorm, is said to be haunted. Witnesses say the apparition of a student who jumped to her death down an elevator shaft has been seen, and she does not appear to like men. Some folks suppose that her boyfriend pushed her down the elevator shaft. Also, black handprints are found in rooms and computers turn on and print an image of the desktop in the middle of the night. This is rumored to be the work of a deceased former janitor. You have the story all wrong. There were two deaths in the elevator shaft in Memorial Hall. The first was a suicide from third floor. The girl’s room was turned into a storage room after the incident. She was extremely depressed and wrote a shoebox full of letters and never sent one. She actually hung herself in the elevator shaft. I EXPERIENCED her one night on rounds when I was the residential staff for Memorial Hall. I felt the cold draft come from the door that was to the storage closet/her room and I walked in the coldness right up to the elevator shaft where the cold trail veered off towards. I had two other experiences with the elevator shaft, one where she gently pushed me away with what felt like a finger on my sternum. Because she did not want me trying to see into the gap on the basement doors to the elevator shaft. The other happened the next day when a friend and I were trying to see how we were going to use the elevator in the up coming haunted house. My friend actually stepped into the shaft while I remained outside of it looking up. When we brought our gaze down to talk about it, my friends eyes were completely black. I told him to get out of the shaft, he blinked his eyes and his went back to normal. The second girl that fell was an accident when the doors on second floor were stuck open and she accidentally fell and left a blood stain on the floor that supposedly only one woman in Ashland could see when I was there in the Early ’90’s. I was showering alone in the third floor bathrooms. I stepped out of the shower and suddenly got a spooked feeling and saw her reflection in the mirror. I looked where she would have been standing and she wasn’t there. Her reflection had also disappeared. At the time I had recently found out I was pregnant. I was in turmoil about it, my situation was less than ideal. I had heard the girl had committed suicide in by throwing herself down the elevator shaft after finding out she was pregnant because at the time pregnancy out of wedlock was taboo. That’s why I believed she showed herself to me that day in the shower room of Memorial.